Natalie, an accomplished and energetic human resource professional, is a motivated HR leader with expertise in benefits administration, recruiting, talent management and HRIS management. 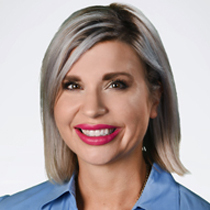 Natalie’s ability to be a true HR Business Partner allows her to help develop and implement strategies and processes within the organizations she supports. Recognized for strong skills in performance management and training, Natalie is hands-on leading a company’s workforce development. She has over 12 years of human resource experience in manufacturing, private equity, insurance, and medical equipment. She received her B.A. and M.A. from The Ohio State University. Natalie resides in Brunswick, Ohio with her husband and children.